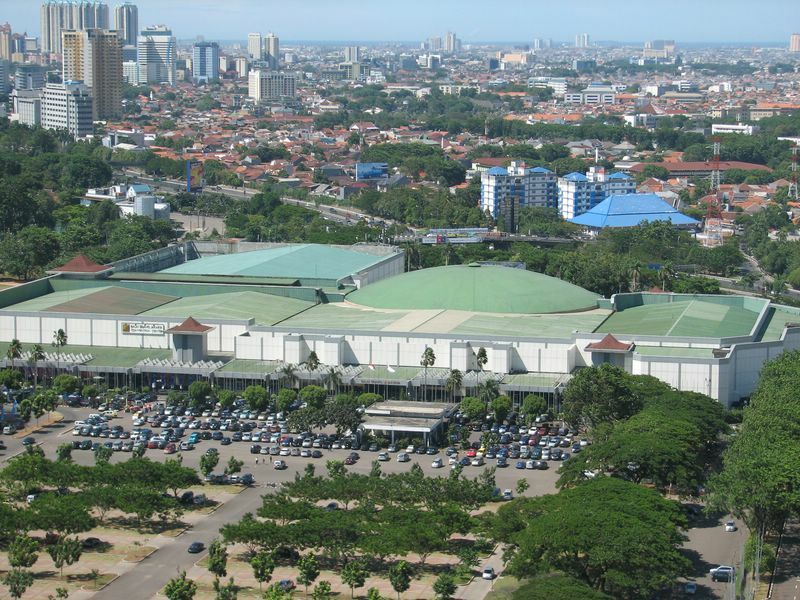 If you bring your own vehicle or use a taxi, the Convention Center Jakarta Convention Center can be accessed from Jl. Jend. Gatot Subroto, Jl. Jend. Sudirman, Jl. Gate of Youth, and Jl. Pintu Satu Senayan – through Gelora Bung Karno sports field. Transjakarta Corridor 9 (Pinang Ranti Terminal <-> Pluit Central Busway), stops at JCC Senayan Stop located behind Center, then walks at close range. Transjakarta Corridor 1 (Terminal Blok M <-> Kota Station), stop at Polda Metro Stop or Gelora Bung Karno Stop, take a motorcycle taxi or walk about 750m through Gelora Bung Karno sports field. For more convenience, you can ride the underground tunnel from Sultan Hotel to Lower Lobby area. The door leads directly to the Main Lobby and the pre-function lobby for two exhibition halls. The Lower Lobby and adjacent event space are accessed via the stairs of the Main Lobby.